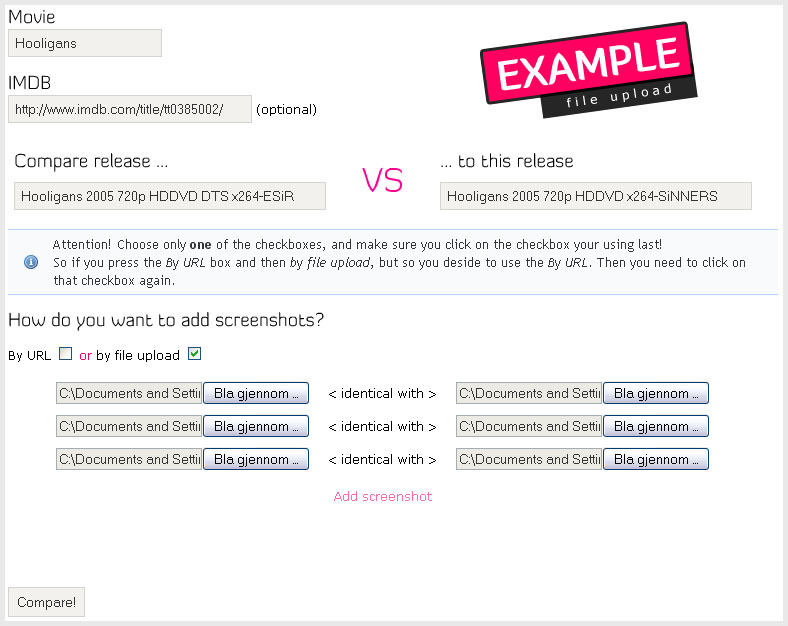 Example pictures that show how to fill ut the form. Q: What kind of files can I sumibt? A: JPG, PNG and GIF. Q: It don't work. The pictures wont show after I have submited the comparison? 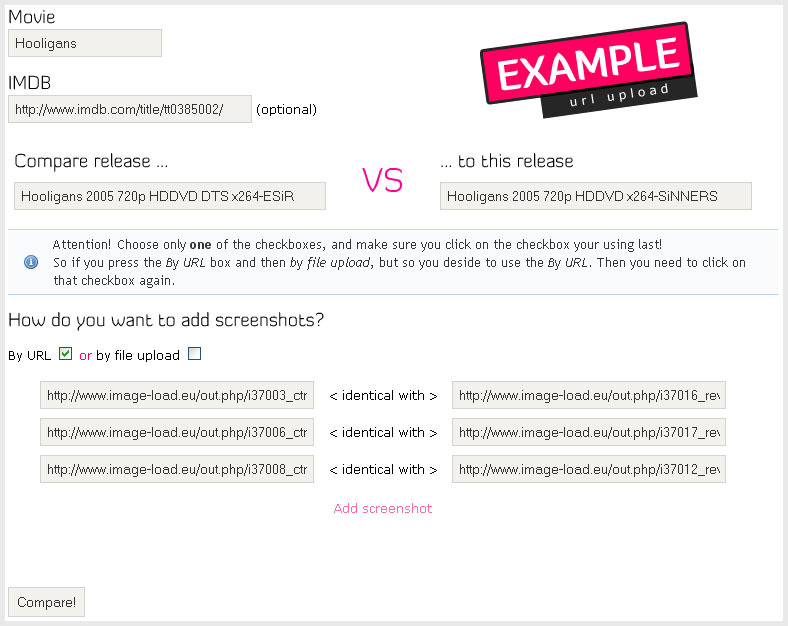 A: If you use "By URL" you need to put in the link directly to the .jpg/.png file. So sites like ImageBam won't work.